How to work with an apartment building broker specialist? Any good apartment broker is going to look for the same qualities in a buyer as the seller is. As with any relationship, you have to establish trust. You have to trust your broker. This is a very personal thing. Buyers and sellers often go down the road of working with a non-specialist broker within the multi-residential field. We find they become frustrated very quickly because there appears to be a lack of good product. We find that the non-specialist residential real estate broker has not tapped into the transactions that are actually being done. The MLS system that the non-specialist relies on is not the main source of buildings that are worth purchasing, so the most important part of anybody’s search is tapping into a brokerage firm that has the sources needed to find the building that meets your criteria. 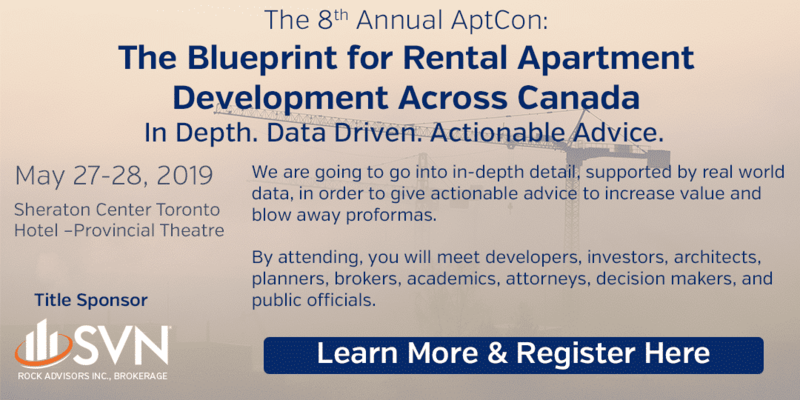 At ROCK, we have the largest proprietary database of apartments in Canada. By using our buyside brokerage system, we can target and identify unlisted buildings that may be for sale. If we don’t have an existing building that meets your needs, we can use our proprietary database to find exactly the building you want. We contact the owner on your behalf about making a deal. It is not enough just to be able to tell your broker what you are looking for. Your broker needs to understand your needs through a proper discussion and analysis and offer you sound advice. Whichever real estate broker you choose has to understand the apartment industry and the process involved through the due diligence period.